Clear MiniGrip Brand Reclosable Bags are available in three gauges – 2 mil, 4 mil and 6 mil – to handle all those small parts that are crucial for your business. White Block MiniGrip Reclosable Bags come in either a 2 mil or 4 mil gauge and can be written on it either pen or marker. Standard Clear Reclosable Zipper Bags have been chosen to rival any reclosable bag at an exceptional value. White Block Economy Zipper Bags and Parts Bags can be written on in either pen or marker. 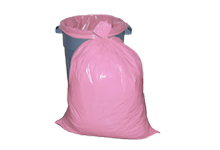 Bubble Reclosable Bags are reusable and highly protective. They feature 3/16″ bubbles. 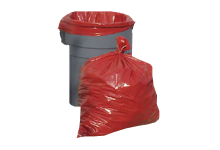 Bags are clear and printed in red “REUSABLE-DO NOT DISCARD”. 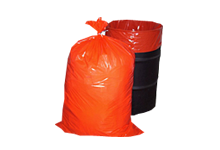 Three-wall Biohazard Specimen Bags are available in a 2 mil gauge. They include an outer pocket for documentation and check boxes for easy processing. Chemo Bags with zipper tops are available in 2 and 4 mil gauges. They are clear and pre-printed with the chemotherapy symbol for easy identification. Zip Top Sliders provide a convenient mechanism that allows for quick and effective closure – even with gloved hands. 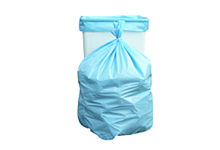 Reclosable Bags with Hang Hole are available in either a 2 mil or 4 mil gauge and feature a reinforced zipper that is side welded for durability and smooth motion. The single hang hole sits just above the zipper closure.